Electric fences work to deter sheep and horses. 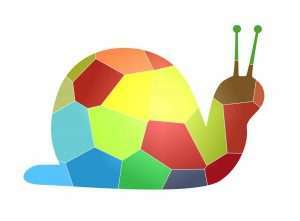 Why shouldn’t they work with slugs and snails? No creature likes to get an electric shock! That is why inventors and gardeners have designed different products and have tried to secure beds against slugs by using electricity. Electric fences work relatively well, but only a few products are on the market. That aside, an electric slug fence can be installed in the good old do-it-yourself fashion. Using solar power is possible. 1 How Does an Electric Slug Fence Work? 3 What Parts Do You Need? How Does an Electric Slug Fence Work? The following video shows the functionality of an electric fence as slug control. There is an electric tension between the two parallel copper tapes. The slug tries to cross and touches both tapes. In doing so, it completes the electric circuit, gets a little electric shock and turns around immediately. Due to the large distance between the copper tapes of this fence, it is apparently still suitable for use even during wet conditions. 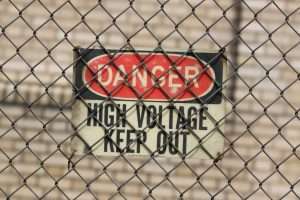 Don’t use more than 6 or 9 volts for an electric fence. 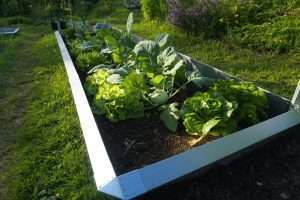 It is not easy, but neither is it too difficult to build an electric slug fence. But please keep in mind that electricity is dangerous. If not handled with care and knowledge, it could cause fire and physical harm. It is essential, therefore, to consult an electrician for safety reasons. For a simple fence, you only need copper tape or wire or perforated metal tape together with a battery (6–9 volts). If you wish to use metal, it should be galvanized and come without a plastic mantle. The best metal to use would be stainless steel. If the fence is long, it would be better to use copper, which performs better in these circumstances. Then the battery will last longer. There are many kinds of battery available. 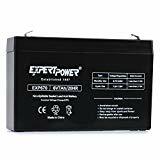 The more Ah (ampere-hours) the battery has, the more power it holds and the longer it will last before recharging becomes necessary. 6 volts are enough to deter slugs. 9 volts also work perfectly but less powerful batteries are available. Although often recommended, 12 volts are a bit too much because this tension can kill tiny snails and slugs. If the fence kills slugs, their dead bodies will attract more slugs into the garden. 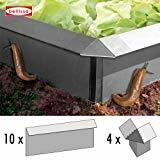 Slugs are highly sensitive and can smell dead animals from far away. They are also cannibals, preferring to eat dead relatives. You should be aware of that and go for a 6-volt system. For an electric fence like the one seen in the above video, self-adhesive copper tape or perforated tape is used. You can nail, screw or glue it onto a wooden board or, better still, an insulating plastic base. If using self-adhesive copper, the surface should be suitable for gluing, otherwise the tape may peel off after some time. 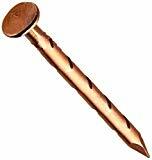 It is also possible to use copper nails to fix copper tape on a wooden surface. 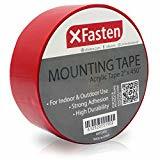 If the surface is not suitable for gluing, outdoor mounting tape can be used; for example, if you want to attach the tape to a stony underground. One advanced way is to use a solar cell together with a solar charge controller. This requires a little more knowledge about electronics. The easiest way is to use a solar LED garden light as shown in the following video. How far should the distance between the tracks be? First, the lines should not be too close to each other, because the closer together they are, the quicker a short circuit manifests. 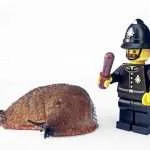 Second, small slugs and snails should be deterred safely. The strips must therefore be close enough to each other to do this. 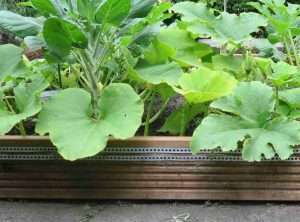 If the strips are too far apart, tiny slugs could move across by touching only one strip/wire at a time. Therefore, a distance of around 0.4 inches (10 millimeters) would be a good choice. Even most young slugs are longer than that. You could even lay the tracks a little further apart – as in the video – to avoid a short circuit due to rain or other water. After mounting the tracks/wires, each of the two battery poles is connected to one of the wires or strips. 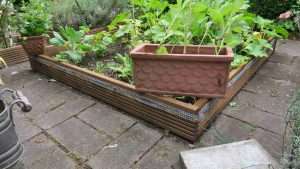 The ‘fence’ is now under tension, and when a slug or snail tries to crawl over, it will get a small electric shock and turn around. 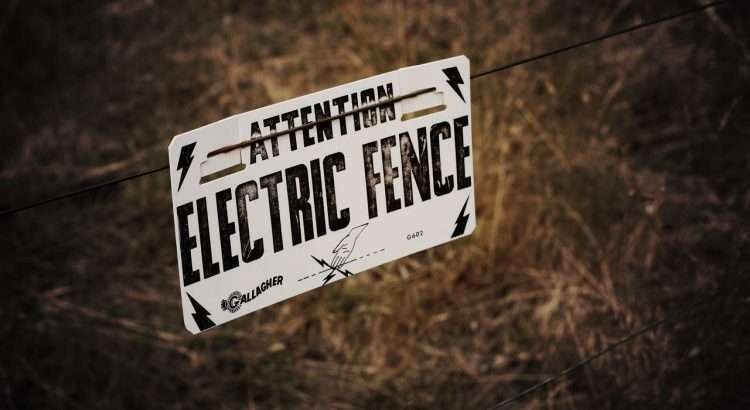 With a functioning electric fence, plants are safe. A short circuit occurs if the two lines touch each other or if something (leaf, water, slug, etc.) completes a connection between them. In the case of a short circuit, the battery discharges quickly. 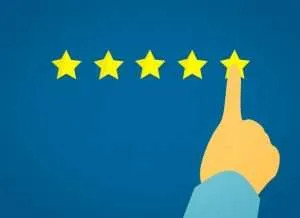 That is why during construction, you should ensure that the current-carrying wires are not installed loosely but firmly so that they cannot move around. As mentioned above, there should always be a safe distance between them to make sure that they cannot touch each other. 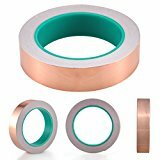 Self-adhesive copper tape, therefore, offers some advantage. Once firmly attached, it cannot move – unlike stretched-out wire. If the fence is to be mounted on wood, then easy-to-install perforated metal tape is also suitable. Perforated tape is a bit more expensive than a copper band, but it is more stable and durable. 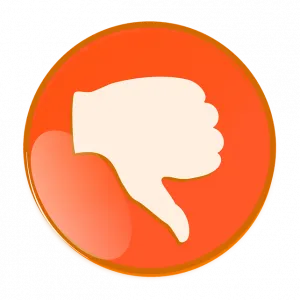 If you know other recommendable methods, please leave a comment. If the fence works, surely no slug or snail will be able to come into the bed. The plants are safe. 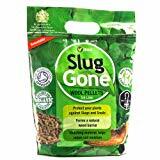 This is a hugely successful method compared to many other slug control measures. The wonderful thing about this method is that the fence can be built easily and you do not have to make a big investment. 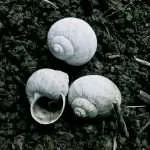 Another significant advantage of the electric fence, as with other snail fences, is that no snail has to die to protect the plants. Unfortunately, the fence is safe only as long as there is a flow of electricity. If an electric problem occurs, the protection is gone immediately. That is why you need to check an electric slug fence regularly. Anyone who knows electric fences knows that they can be susceptible to interference. This is also the case with electric slug fences. The common problem is that short circuits occur, the battery discharges and the fence is out of service for a while. Water conducts electricity. 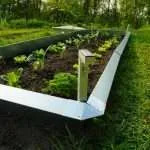 Therefore, short circuits can be caused by rainwater, watering, or irrigation. The fence should therefore be kept as dry as possible. Unfortunately, this is difficult in the garden. Morning dew could result in a short circuit, meaning that the battery would discharge. In addition, slugs and snails that try to get through can cause a short circuit. If you do not use a 6–9-volts system, but a higher voltage, slugs can die at the fence and then cause short circuits. At 6–9 volts, they get a shock, but it is not deadly. 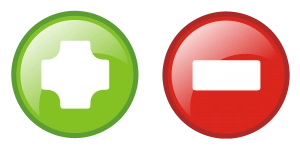 Therefore, it is important to stay in the low voltage range and not to use higher voltages. Plants and other animals can also cause short circuits. So, check the power supply to the fence at least once a day. It is best to check in the evening before nocturnal animals come out. If the fence fails, plants lose their protection immediately. 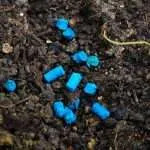 Electric fences work and can be an alternative to other methods of slug control such as slug pellets. Costs are low and installation is easy. Using solar power can make things more complicated. Fences need to be checked regularly because if there is a problem with the power supply, the protection is immediately affected. 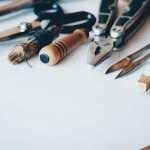 For a fence to work properly, it is good to have a skilled, resourceful craftsman at hand who is ready to carry out emergency repairs. The fence’s vulnerability to water is impractical in the garden. Therefore, using an electric fence against snails is a good idea but not the best choice. A mechanical slug fence does not come with these problems. A mechanical slug fence is more expensive but needs less maintenance. It is more fail-safe and durable. Its initial costs may be a bit higher, but in the long run there are no maintenance costs. To build a simple fence, you need copper tape/wire, a battery, and an electrical connection to bring the two together. 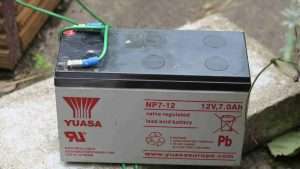 A good battery costs about 20 dollars/pounds/euros. 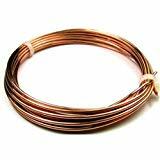 The copper band costs about 30 cents per meter. Metal wire might be even cheaper. Since two lines are needed, the price per meter is doubled. However, the price is still below that of metal, mechanical slug fences, which cost about 5 to 7 dollars/pounds/euros per meter. 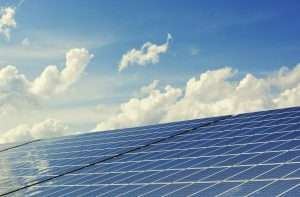 If you also want to use a solar cell, the costs increase. Click on the link for available products on eBay. 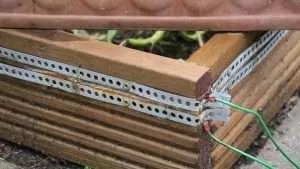 Here is one possible way of building an electric slug fence, which was sent to me by Kay. He has built a fence himself and over the years has had good experiences with his design. You do not need a complicated circuit for this fence, just a suitable battery cable, a battery and perforated metal tape. The perforated tape rusts over the years but is still long-lasting and easy to assemble to wood. Kay operates the fence with a 12-volt 7 Ah battery. However, a 6-volt battery would be sufficient. According to Kay, the battery lasts for a whole season, and all slugs and snails are held off successfully. 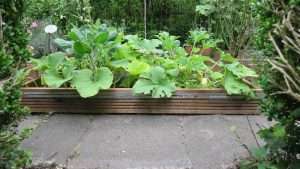 This fence is particularly suitable for raised beds. In the open field, a bed enclosure is needed to mount the tapes/wires on. Kay has solved this problem with wooden planks. The following pictures illustrate his design. 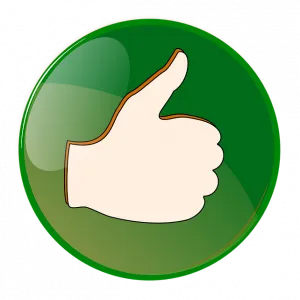 5 (100%) 2 votes - Glad you are here. 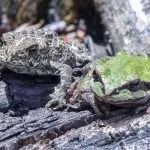 Wood Ash to Deter Slugs and Snails in the Garden | Does It Work?